Certified Medical Practice Executive (CMPE) is one of our profession’s most respected credentials. CMPE certified practice administrators can earn 10% to 40% more than non-certified managers (depending group size and location) when compared to non-CMPE certified practice administrators. Obtaining certification alone won't account for the increase in wages; the commitment to continuing education and increased networking opportunities when combined with the credentials of certification add value and competency to your personal management portfolio. Once you've achieved your CMPE -- Fellowship is your next step! 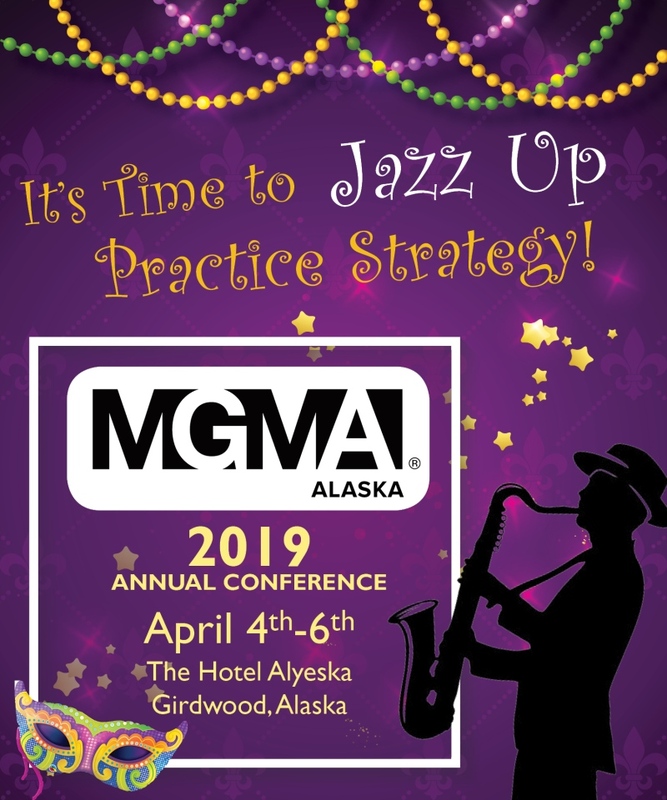 AKMGMA Members may submit postings at no charge to our Career Center. Please submit your ad to [email protected] and a member of our team will publish your ad. AKMGMA reserves the right to review and suggest edits as we deem appropriate. Alaska Women’s Health, PC (AWH) has an opening on our leadership team for an Administrative Director. We are looking to hire a motivated, responsible individual with a strong work ethic and excellent communication skills to fill this role. The Administrative Director for Alaska Women’s Health PC will assure long-term clinic success through excellent patient care while balancing fiscal responsibility. This person will be responsible for the overall operations of the medical practice which includes nine physicians, one nurse practitioner, supporting clinical, front office and billing staff. The administrator will be responsible for communicating and collaborating with the physicians and staff on a regular basis and implement changes in a positive manner. Develop and implement the clinic mission and strategic vision emphasizing openness and collaboration. Establish and secure approval and oversee clinical policies and procedures. Oversee the billing and collection department and the business and financial affairs of the clinic and physical management in conjunction with the practice CPA. Ensure clinic compliance with all regulatory agencies governing healthcare delivery and the rules of accrediting bodies. Continually monitor operations, programs, physical properties and initiate appropriate changes. Encourage community education and marketing. Represent the clinic in its relationships with other healthcare organizations, government agencies, provider credentialing and third-party payer contracts. Serve as liaison in the channel of communication between the hospitals, health plans, insurance companies and regulatory bodies. Respond to any medical-administrative problems and keep lines of communication open with staff to ensure high employee morale and professionalism, and a healthy clinic atmosphere. Coordinate and participate in physician recruitment is needed. AWH has been providing exceptional OBGYN care since 1983. We seek to provide the highest level of care through our highly skilled health care professionals and state of the art technologies. AWH offers a full range of obstetrics, gynecology and urogynecology services from the initial exam, to childbirth and through menopause and beyond. We are committed to the individual needs of our patients in a warm and caring environment. Anchorage Pediatric Group (APG) has an opening on our leadership team for a Medical Practice Manager. We are looking to hire a motivated, responsible individual with a strong work ethic and excellent communication skills to fill this role. The Medical Practice Manager maintains broad responsibilities for all administrative functions of the medical group, including operations, marketing, finance, managed care/third party contracting, physician compensation and reimbursement, medical and business information systems, and strategic planning and development. APG has been providing exceptional medical care for infants, children, teens, and young adults since 1956. In addition to exceptional medical care, APG is also known for employee longevity. About 50% of our current staff have been a part of the APG family for 10+ years. APG is a fun and versatile environment, and the team of providers, clinical and support staff is nothing short of incredible. Please contact Sara Johnston with your resume and cover letter via email ([email protected]) or drop it off in person (3340 Providence Drive, Suite A500).